Pride, My Pride a story of struggle and hurt. As a child the worst punishment for me was when I got into trouble while a visitor was at my grandma's house. I was sent into time out in front of them and I was very, very embarrassed. Not only were these visitors someone outside of my family but these were "church people." They were the people who ran the church I only occasionally visited with my parents. When I visited I always felt I was the outsider looking in. 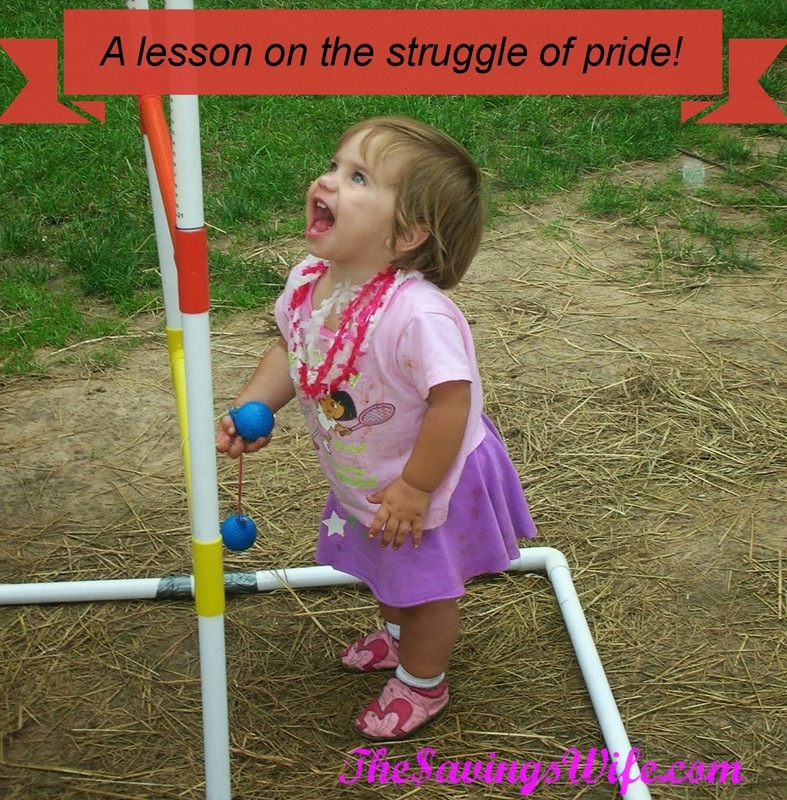 Pride has been one of the thing I have always struggled with. I've noticed the my pride rises when I feel isolated or inferior to others. I feel that I have to prove myself worthy of anyone else time, attention or love. Luke 14:11: For all those who exalt themselves will be humbled, and those who humble themselves will be exalted." It started with the approval of my family and my hometown church but it grew to only letting others see the best of me. I put on a mask of superiority. A white washed tomb. I walked the walk and talked the talk but it wasn't me. I wanted to fit in so I took my uniqueness given to me by God and tried to fit into the "church person" mold. Matthew 23:27 "Woe to you, teachers of the law and Pharisees, you hypocrites! You are like whitewashed tombs, which look beautiful on the outside but on the inside are full of the bones of the dead and everything unclean. I had to learn to humble myself. Let people see what I would want to hide. I had to be "laid naked" in front of others and most importantly God. Some people will not like me, which is very, very hard to deal with. I had to stop pretending I was perfect and acknowledge my weaknesses. Proverbs 24:12: Don't excuse yourself by saying, "Look, we didn't know." For God understands all hearts, and he sees you. He who guards your soul knows you knew. He will repay all people as their actions deserve. God already sees us as we are and knows our motives and even the hurts behind them. He is also able to forgive us completely. Healing starts when we realize and acknowledge those weaknesses, sins and things hidden to God. Often it requires repentance (stop doing wrong and do right). Sometimes we have to tell others so we can rid ourselves of the feeling of guilt and for someone to hold us accountable. God is good and can use those confessions to help strengthen other believers. I would like to say that I no longer struggle with pride and I never pretend but I can't. I'm learning though and it is less and less. Don't give up, you too can be who you really are. Take a look at your Identity in Christ after becoming his child. Why would you want to be anyone else but you?